Wherever women are honored there is prosperity and happiness. Women should never be slighted or treated with disrespect. A home in which the housewife sheds tears will be bereft of all prosperity. This is the ancient conception of the role of women in the home”. Subsequent to the Divine Marriage, ‘The Divine Couple’ along with Lord Venugopala Swami were escorted out in a royal procession as part of the annual Rathotsavam. ‘The Gods’ mounted on a chariot were taken out along the road in royal procession. 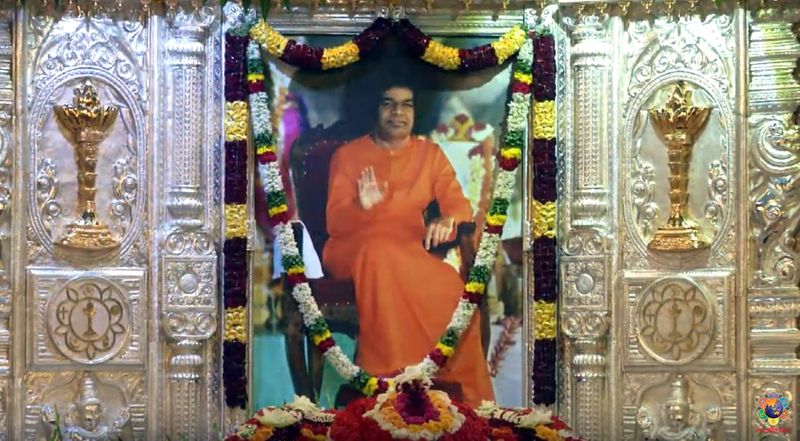 Global Akhanda Bhajan, the timeless intonation promoting Universal Peace and Harmony is one of the most significant and far-reaching annual spiritual exercise initiated by Bhagawan way back in the mid forties. Ever since, every second week-end of the month of November has been a fixed schedule for this 24 hour marathon non-stop bhajan saga. The Akhanda Bhajan had its origin way back in 1945, started in Bangalore by a group of eight families. Upon the culmination of the year-long Thursday bhajans, they had been conducting quite regularly from 1944, during the World War II time, the group of eight families showed up to Bhagawan in Puttaparthi seeking blessings for conducting bhajans. 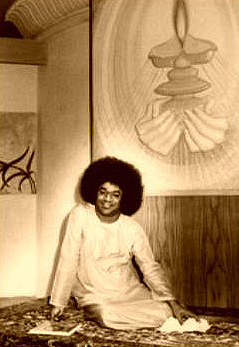 The Divine Visionary that He is, Bhagawan blessed the group, praising the idea of bhajan singing and named it Akhanda Bhajan. 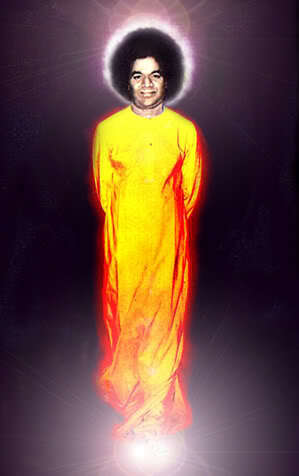 Bhagawan even promised the group that He would bless the same with His physical presence. 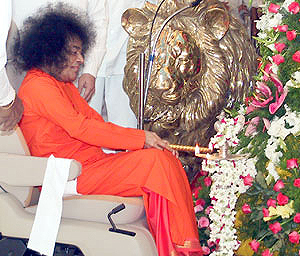 This grand Spiritual exercise has been going on uninterrupted ever since and the years that passed had been fortunate to have the spirited physical presence of Bhagawan during the occasion. “Today we are having the Akhanda Bhajan. This is being done not for the sake of one individual, one nation or one community. It is for the welfare of humanity as a whole. The bhajans that are sung permeate the ether in the form of sound waves and fill the entire atmosphere. Thereby, the whole environment is purified. Breathing in this purified atmosphere, our hearts get purified. Reciting the Lord’s name is a process of give and take. Singing the Lord’s name should become an exercise in mutual sharing of joy and holiness. It should be remembered that the sounds we produce reverberate in the atmosphere. They remain permanently in the ether as waves and outlast the individual uttering the sounds. Dasara or Navaratri is a ten day festival, usually falling in the month of October, that is celebrated all over India in the worship of the Divine as the Mother principle. 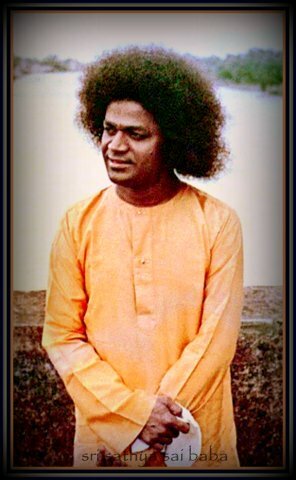 Bhagawan has explained that the festival of Dasara is a celebration of the triumph of good over evil signifying the vanquishing of the ‘six demons’ of lust, anger, attachment, greed, pride and jealously within us. 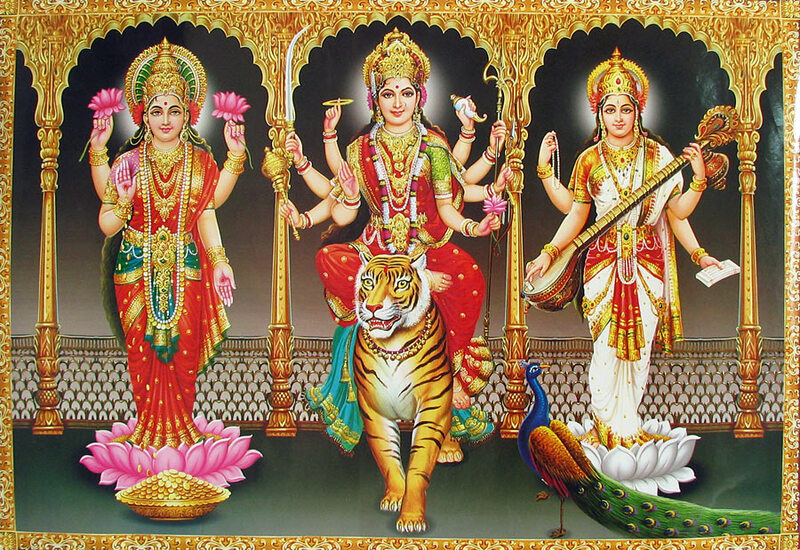 Durga is worshipped the first 3 days, Laxmi the next 3 days then Saraswati the final 3 days. 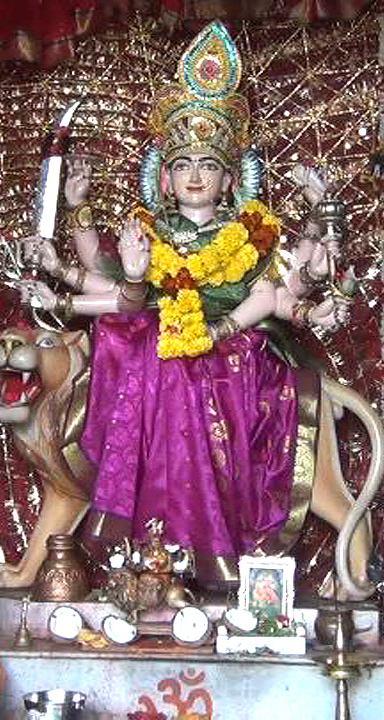 Vijaya Dasami Day being the 10th Day. 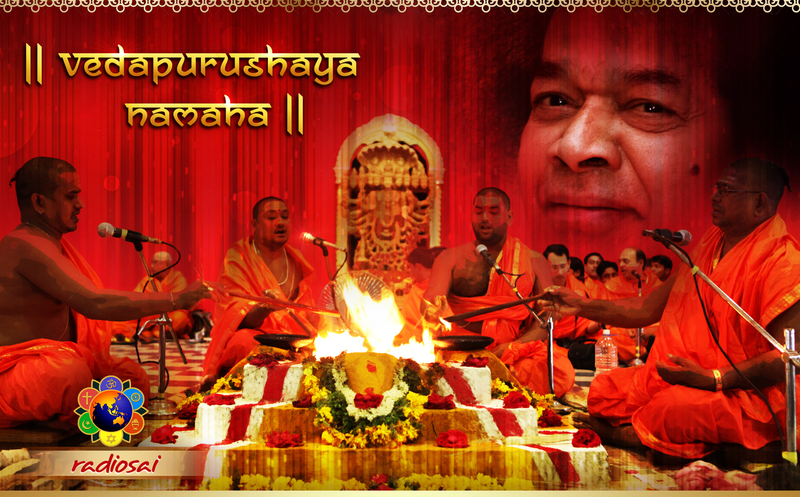 The Dasara celebrations at Prasanthi Nilayam begins with the Kalasha Sthapana Puja in the Bhajan Mandir. After this, Kalasha puja is performed during all days of the Navarathri. who is the bestower of every desire of one’s heart. O Devi, I have taken refuge in you. – Yajur Veda, Vajasaneyi Samhita and Taittareya Brahman. Devi Durga stands on a lion in a fearless pose of “Abhay Mudra”, signifying assurance of freedom from fear. The universal mother seems to be saying to all her devotees: “Surrender all actions and duties onto me and I shall release thee from all fears”. The most important component of the Yagnam is the ‘Rudra Homam’, an invocation to Lord Siva, in which the oblations of clarified butter are poured into the Yagna Kunda while chanting hymns from the ‘Sri Rudram’. Other rituals also take place simultaneously like the Surya Namaskar, or the worship of the Sun as the visible symbol of the Supreme. 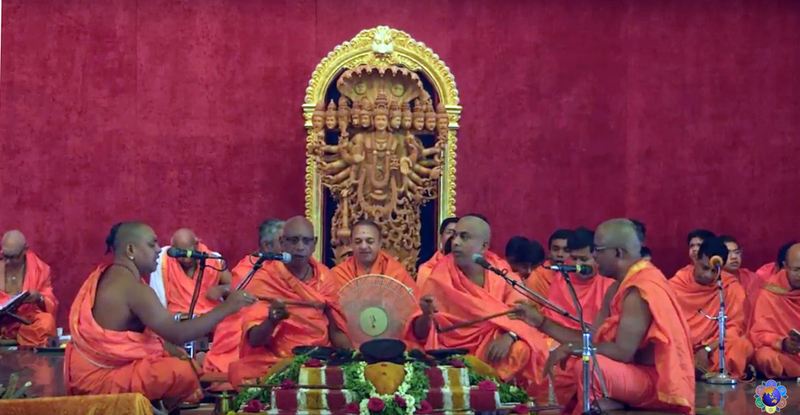 The Srimad Bhagavatham Parayana, and the Ramayana Parayana and the Devi Mahatmyam are simultaneously performed by noted scholars, and a few pundits and Bhagavan’s students simultaneously chant various hymns from the Vedas. Another priest worships the Sri Chakra, a mystic drawing representing the Supreme Mother. The first 6 days the Yagna follows this routine daily. The Dasara Celebrations come to an auspicious close on, Vijaya Dasami Day, the 7th day of the Yagna. Poornahuthi or the Valedictory Offering is made. 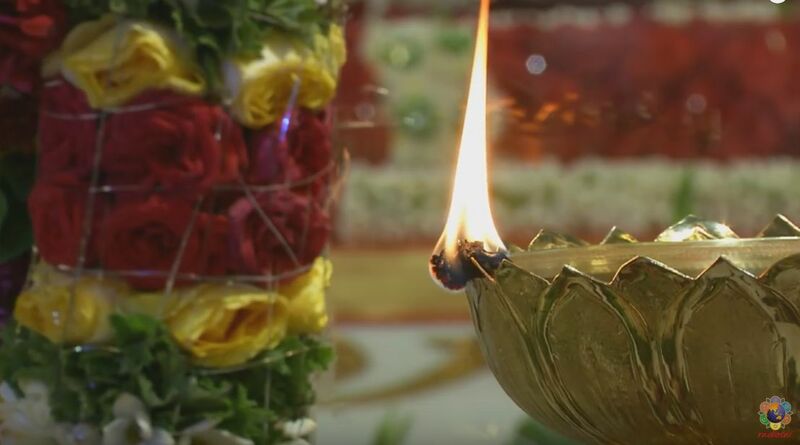 After seeking the blessings of Bhagavan, the priests make the final offering of clarified butter into the fire while chanting hymns from the ‘Chamakam,’ praying for the physical and spiritual welfare of all the beings of the world. 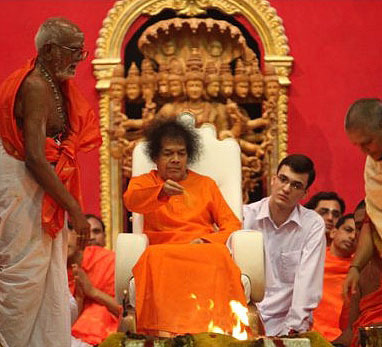 Bhagavan blesses all the priests by sprinkling sacred water and akshada (turmeric coated rice) on them. 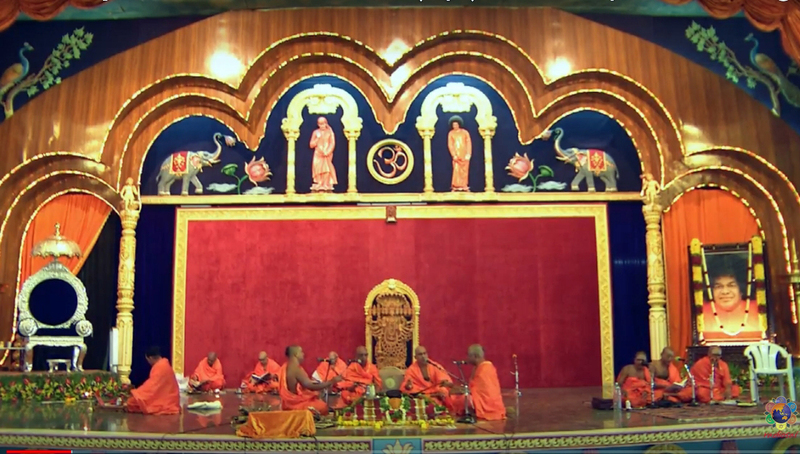 Listen to the various Vedic chants that are recited during the Yagnam with introductions. 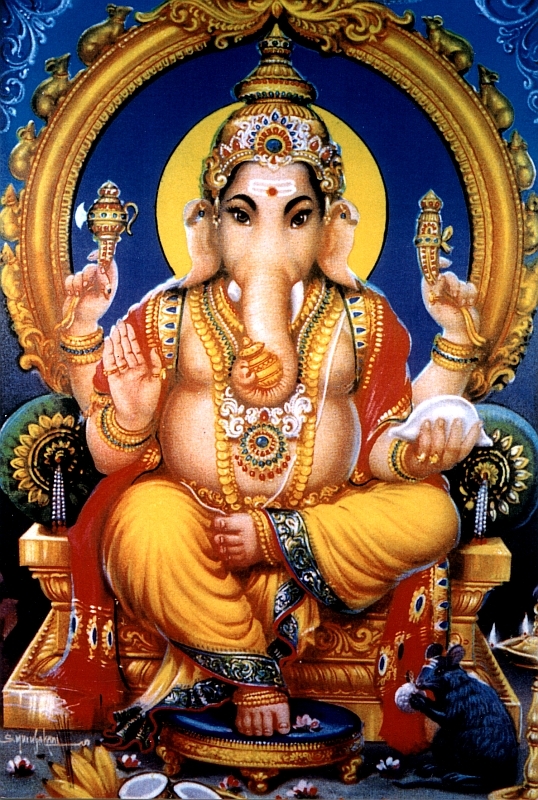 Ganesha Chaturthi is celebrated on the Chaturthi, i.e., the fourth day of Indian lunar month of Bhadrapada. It usually falls in the month of September in the English calendar. Lord Ganesha, the elephant-headed God is usually worshipped before commencing any activity in order to remove obstacles and ensure success of the endeavour. 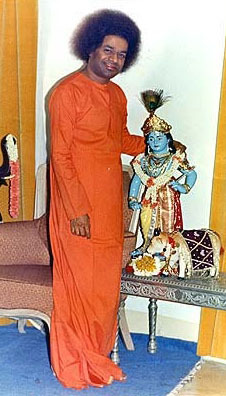 He is also the bestower of worldly intelligence and spiritual wisdom. and clad in a white garment. May He remove all impediments in our path. 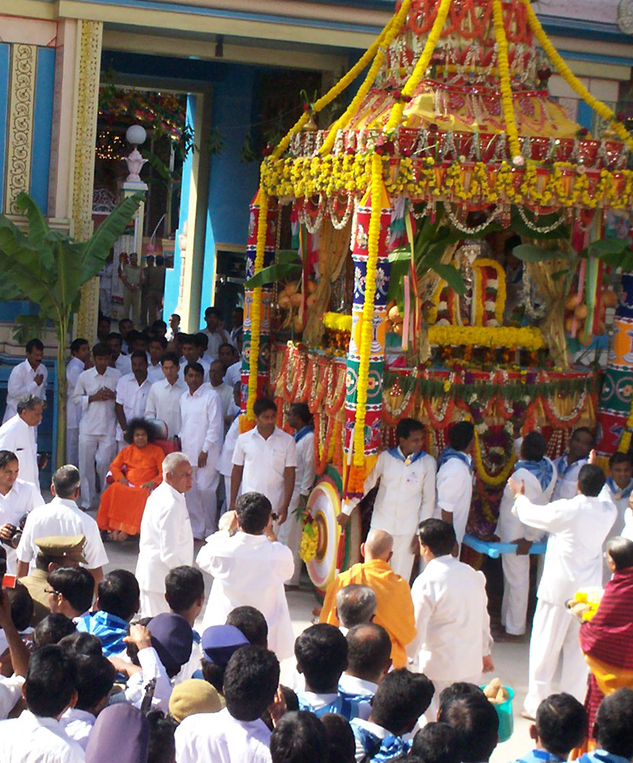 The festival is usually celebrated for a period for three days in Prasanthi Nilayam. 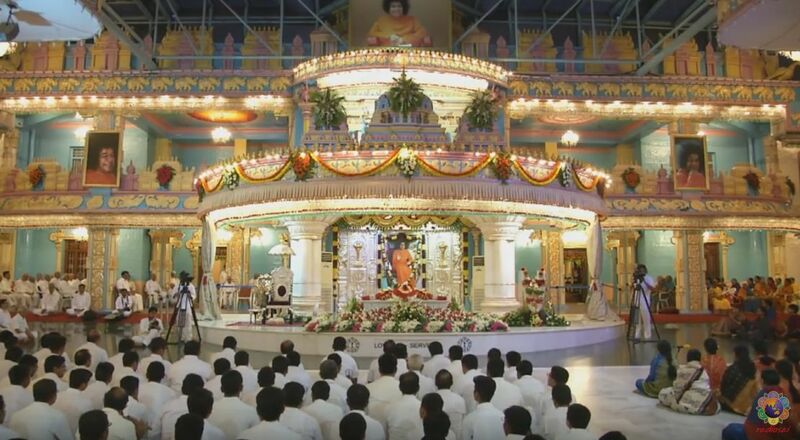 On the first day, the students sing devotional songs and Stotrams (hymns) and present cultural programmes in the Divine Presence and Bhagawan grants His discourse.During the next two days, students and staff of Bhagawans Institutions worship idols of Lord Ganesha in their respective premises. 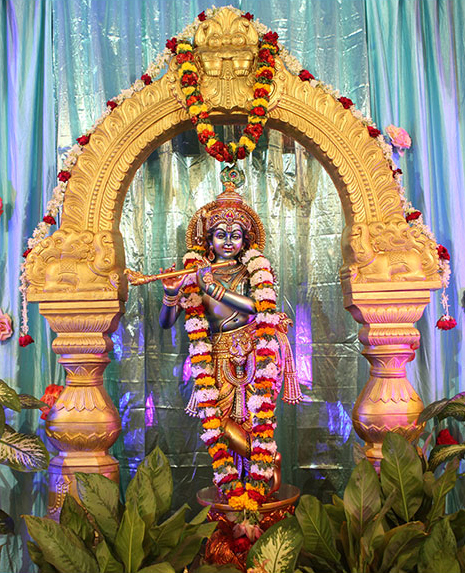 On the third day of the festival, the idols are brought to the Sai Kulwant Hall in a grand procession of colourful and exquisitely designed chariots amidst chanting of hymns and singing of Bhajans. After offering final worship and Arati, it is customary to immerse in the idol in a nearby lake or pond as it is the belief that Lord Ganesha takes with him the troubles and the bad tendencies that act as obstacles on the spiritual path. “What is the inner significance of worshipping the elephant-faced deity? The elephant is a symbol of might and magnitude. The elephant’s foot is larger than that of any other animal. The elephant can make its way through the densest jungle. In this way, it signifies the quality of a leader who shows the way for others. The elephant is also known for its faithfulness and gratitude. These are the lessons man should learn from the elephant. Intelligence without gratitude is valueless. Every man should be grateful to those who have helped him”. 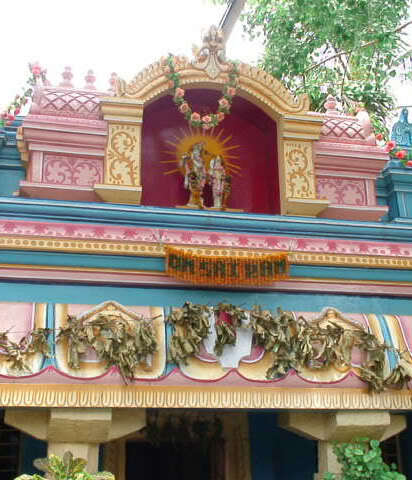 Gollapalli (Puttaparthi’s earlier name) was a prosperous village of cowherds at one time. However, evil fortunes fell upon the village when one incensed cowherd hurled a stone at a cobra that was sucking milk from the udder of one of his cows. The dying cobra cursed the village, and as a result, the cattle began to perish, and the place was infested with ant-hills. Its name was now changed to Valmikipura (the word ‘Valmiki’ denoting ‘anthill’ in Sanskrit, and Puttaparthi being the Telugu equivalent of the same). In an attempt to appease the spirit of the dead snake, the villagers installed the blood-splattered stone in a shrine and started worshipping it. 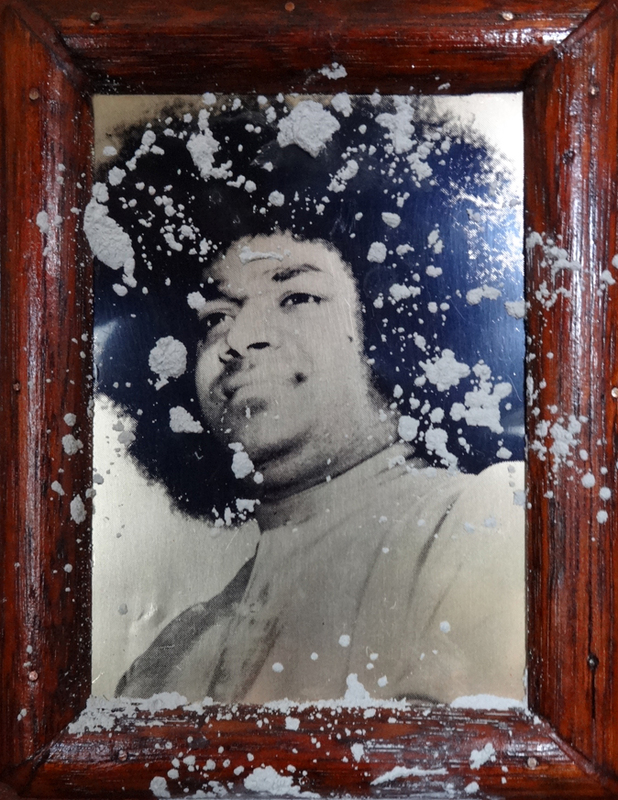 Sathya Sai Baba instructed them to wash it and smear it with sandal paste. On doing this, the outline of the figure of Krishna (or Venugopala) holding his customary flute, became discernible. The temple was now called the Venugopalaswamy temple, and the curse on the village of Puttaparthi came to an end. 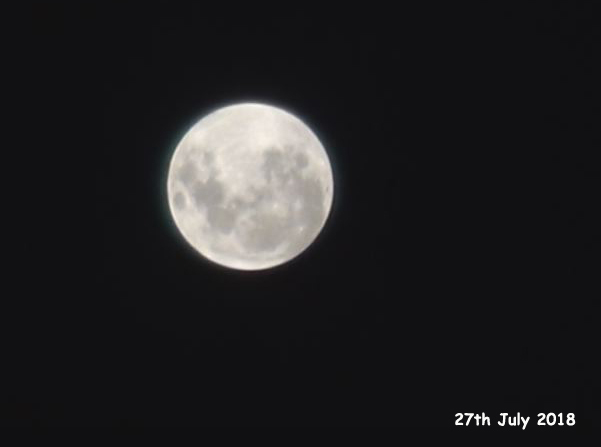 Guru Poornima is the full moon day in the month of ‘Ashada’, the fourth month in the Indian lunar calendar, corresponding to end of June or early July. It is also called ‘Vyasa Poornima’, as this full moon day marks the birthday of the great sage Veda Vyasa, who categorized the vast body of Vedic knowledge in to the four Vedas – Rig, Yajur, Sama and Atharva. Even the writing of the eighteen Puranas (ancient Hindu legends) was completed by him on this day. “Guru is Brahman. He is the Creator; He Himself is the creation and He is the One that exists in the creation. The universe is filled with Brahman. It becomes clear that the One who Himself has become the universe is the Guru. Guru is Vishnu. Who is Vishnu? Vishnu is one who has the quality of pervasiveness. He is the Doer and also what is done. The universe is the action, God is the Doer. God is the consciousness behind the cause and effect. The whole universe is the form of Vishnu. This Vishnu is the Guru. Guru is Maheshvara. 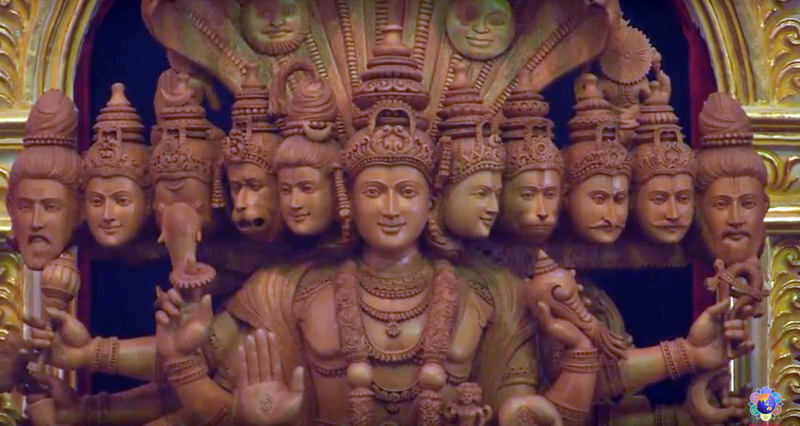 Who is Maheshvara? He is the one who rules all beings in the Universe. He commands and ordains everything in the universe in the right manner. Sun-rise and Sun-set go on according to His command. Seasons, rain, the day and night are His commands. 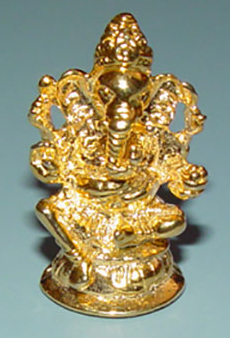 Eeshvara is one that makes everything–follow its discipline without any lapse. Guru is not one who merely teaches. 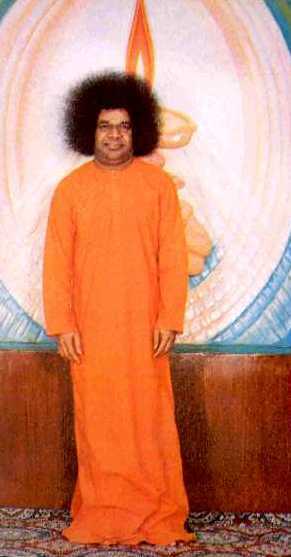 A Guru is omnipotent, omniscient and omnipresent, He is God himself. In the wailings of your heart? Who is He that dwells—but, yet, is mute? In the swing of joy and pain? Who is He that dwells—and with you, swings? In the listless path you tread. In the hazy tunes you hum? Who is He that dwells—but, does not soothe? In the frolics that you dream? Who is He that dwells—and, listening, nods? As accomplice in your thievery? Who is He that dwells—and, never himself reveals? In the ‘my’ and ‘mine’ of your thoughts? Who is He that dwells— and, yet, dwells not? Who is He that dwells—but, does not speak? Who is up to any task? Who is He that dwells—and, hides? As the solace of all who seek? Who is He that dwells—and, feeds the fantasy? The Glory of all the Worlds? Who is He that dwells—and, proudly pomps? Eternal Joy of the Soul! Beyond all your flights of thoughts. This is all He; He alone Is. Is the Lord, the Great One.